This will be a unique matchup as the Buckeyes will face OOMG in what will be a battle of stellar players on both sides. OOMG put up a season-high 123 points last week in their win against the Alcoballics. This group has a plethora of guys that can score at least 20-plus points every game this season. They also have a core group in Michael Caorboni, Josh Rollans and Mike Anderson that grabs plenty of boards. OOMG grabbed 59 rebounds last week and will be going up against an aggressive Buckeyes defense. Joe Paulk of the Buckeyes was absent last week and they need him like crazy to contribute and score from downtown. Dominic Pedotto will have his hands full containing guys like Anderson perhaps Kenny McNeil, should be suit up. Watch out for Juan Carter to potentially blow by the Buckeyes and as usual, be a big-time facilitator. The Buckeyes can't leave Omar Cabahug as he's a sneaky player that tends to not play defense just so he can get the open pass for the layup. I know that Paul Boag and Paul Sexton can score double figures in points, and they have to be on their 'A' game if they want to get the win. The Buckeyes haven't been the high scoring team they've been known to be, and I have OOMG scoring and winning big. Zee Shan and Those Guys are coming off their first win in probably 18 months as they'll square off against the winless Boozers. The Boozers are bigger, somewhat faster and have more accurate shooters than Those Guys. Watch out for the Boozers' Greg Goorjian to drop down some clutch shots and show Those Guys how it's done. Something has to give for the Boozers and they should have no problem getting a win this week. 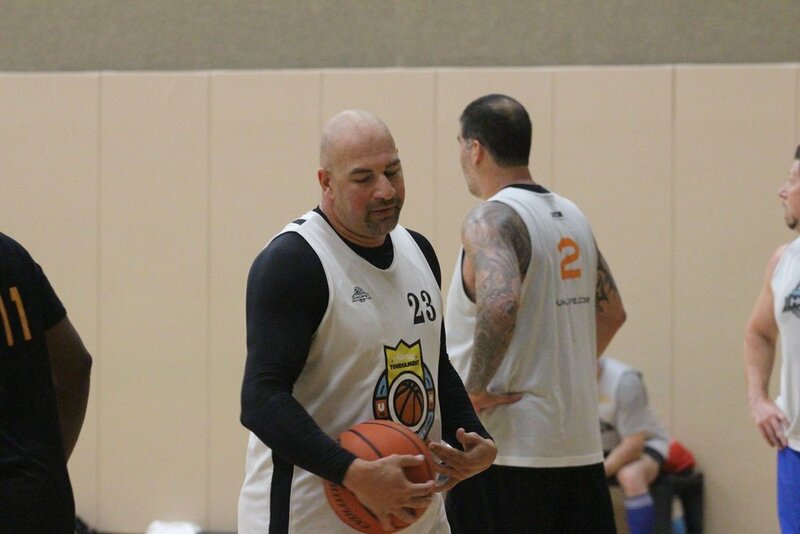 If the Boozers' Jason Salerno suits up this week, he'll grab at least 25-plus rebounds, no doubt about it for the win. Both teams will be looking for a bounce-back after they both lost their respective games. 44 Minutes is the lowest-scoring team in the league averaging 51 PPG, while Old School averages 58.3 PPG, which is the second lowest. I already know that 44 Minutes will have some tough competition going up against Alexander Gonzalez. Jeremy Peltz of 44 Minutes will most likely have to guard Gonzalez and it's not going to be easy. The matchup of Old School's Alexa Cabrera and 44 Minutes' Michael Cornachio will be a matchup to watch as they're both built the same and play similar styles of basketball. I also have a feeling that Old School's Brian Stanton will spark Old School and carry them to a victory. Even though the Alcoballics lost to OOMG last week, they still managed to score 96 points against a very tough OOMG squad. Perhaps the Alcoballics will repeat their scoring performance this week against the RudeDogs. One of the reasons for the Alcoballics scoring more points is Kerry Knoll and Robert Lew. Both are 3-point shooters and deliver in the clutch. Luis Maceira hasn't had the same season as he did in the summer, but he'll be a difference maker for sure. I know that Jay Schuttert loves to step back and attempt some 3s, but he needs to stay down low more often and grab key boards. Schuttert will go up against Anthony Khotsikian and it's going to be fun to watch them two battle it out. Evan Hunt and Matthew Diedrich will remain the top two scorers for the RudeDogs and the Alcoballics need to contain both of them in transition as well as not fouling them as they're accurate from the charity stripe. This is a tough one to pick and after careful consideration, I have the Alcoballics somehow getting the big-time win. What will it take to remain undefeated? Only Bhoudini and the GoodFellas know as they'll dual it out and fuel each other all game long. How about the duo of Jeff Jones and Christopher Ford? They're scoring big-time points and firing up the GoodFellas all season long. Sam Michelli is improving every game this season as he went from scoring two, five and now 16 points. Will we see Bhoudini's Jim Reilly in uniform? If he does, he'll be a key player down low and will go up against Kevin Kalua and potentially Brent Husson. Come on Stefan Hanania, let's see if he suits up this week and takes care of business against Bhoudini. I know that the GoodFellas will be ready to slow down Charlie Farber and Edwin Urbina and if they do, it will be an interesting contest. Daniel Bower, per usual, will run in transition and get some quality shots to go down. I really like both of these teams, but the problem for me picking this game is who will even suit up. I'll take my chances and pick the GoodFellas by +4.